Call 612-426-6995 to see if your company qualifies. Access to your own Personal (VPP) Specialist. 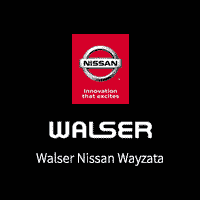 With all new vehicle purchases, comes with a Walser Nissan Wayzata Lifetime Powertrain Warranty. Available for employees of applicable companies. To see a list of all companies and for more details on (VPP), visit Inside Nissan. Warranty for Life has some restrictions. See dealer for details. You currently work for Nissan and want to obtain a Claim ID for yourself or family/friend. You currently work for a NNA Affiliate Company and want to obtain a Claim ID for yourself or family/friend. You currently work for a Nissan Dealer and want to obtain a Claim ID for yourself or immediate family member. You currently work for an eligible Business Associate and want to obtain a Claim ID for yourself or spouse/domestic partner.